It can often be convenient to share a report with others. The "one-version-of-a-report" nature of Jet Hub makes this especially helpful by avoiding the concept of having multiple copies of a single report which reside on various computers. 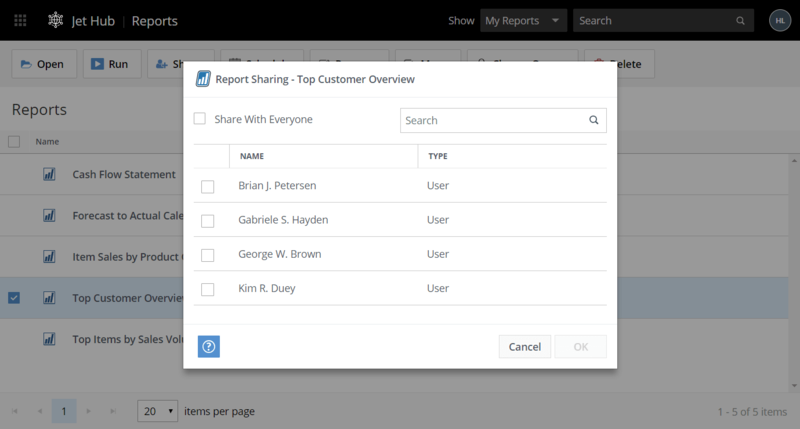 From the Reports section of Jet Hub, click the report you wish to share and select Share at the top of the window. From the list showing all users and/or groups who have been given access to Jet Hub, check the box next to those with whom you would like to share your report, and then click the OK button. 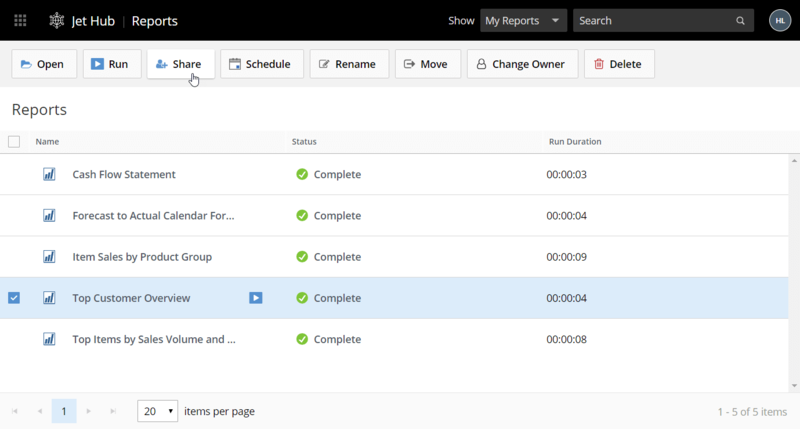 Once complete, your report will now appear in the Reports section of all the users/groups you specified, and those users will be able to run and view the report.